Never miss the results of a game again. At PuckPedia, we always have up-to-date NHL scores, allowing you to stay on track with everything that's happening in the league. As well as NHL live scores, you’ll find the results of recently completed games, schedules for upcoming games, and links to game preview stories. How Is the NHL Season Schedule Decided? Each team plays 4 to 5 games against teams in their division, which breaks down to 26 or 29 games for those in the Western Conference, and 28 games for those in the Eastern Conference. They also play all of the non-divisional teams within their conference 3 times, which equates to 21 or 24 games for the Western Conference and 24 for the Eastern. Inter-conference games make up the rest of the games for the season, which is 32 games for the Western Conference and 30 for the Eastern. This means that every team in the league will have played all of the other teams two times, with the exception of the Western Conference, where one team from each of the divisions will play one less game inside the division, and one additional game within the conference but outside of their division. The teams rotate each season, but the schedule is designed so that each NHL team will play in every arena at least once in the season. The three teams that are placed highest in each division join two wild-card teams to enter the playoff elimination tournament. This determines the Stanley Cup contenders. Who Plays in the Stanley Cup Playoffs? There are 8 teams in each conference that will qualify for a spot in the playoffs. In 2014, the format for the playoff series changed, and the teams that place first, second and third in each of the 4 divisions will automatically qualify for the playoffs. Then, the 2 teams that have the highest point totals out of the teams that remain in each of the conferences are the wildcards. Because divisional alignment isn't a factor for the wild card teams, one division could produce both of the wild card teams. How Many Points Does a Team Need to Make the Playoffs? The NHL changed the rules to create a three-point game in the 2005-06 season; games that go into overtime or a shootout are 3 point games (2 to winner, 1 to loser), whereas games ending in regulating are 2 point games. Now, for a team to reach the playoffs, it usually needs a minimum of 95 points. Only two teams have reached 95 points but didn’t advance to postseason; the 2010/2011 Dallas Stars only missed by two points, and the 2006/2007 Colorado Avalanche fell short by one point. Getting off to the best possible start is key. Since the 2008/2009 season, and not including the 2012/2013 season that was shortened by a lockout, 62 of 80 teams that occupied a playoff spot by the end of November reached the playoffs. In other words, games in October and November are critical. Taking a look at NHL scores for the 2016/2017 Eastern Conference, the Washington Capitals led with 118 points. The other teams leading the Metropolitan Division were the Pittsburgh Penguins with 111 points, and the Columbus Blue Jackets with 108 points. In the Atlantic Division, the Montréal Canadiens had 103 points, the Ottawa Senators 98 points, and the Boston Bruins 95 points. The top wild cards were the NY Rangers with 102 points and the Toronto Maple Leafs with 95 points. The Chicago Blackhawks led in the Central Division, and Western Conference as a whole, with 109 points. Also high in the Central Division were the Minnesota Wilds with 106 points and St. Louis Blues with 99 points. In the Pacific Division, the Anaheim Ducks had 105 points, the Edmonton Oilers 103 points, and the San Jose Sharks 99 points. Leading wild cards were the Calgary Flames with 94 points and the Nashville Predators with 94 points. The 2017 Stanley Cup Finals were between the Eastern Conference champion (and defending Stanley Cup champion), the Pittsburgh Penguins, and Western Conference champion, the Nashville Predators, a team that made its Finals debut. The Penguins had home-ice advantage and won the first two games. However, the Predators won two games at home, tying the series. In the final two games, however, the Predators were unable to score a single goal and the Penguins were, once again, the Stanley Cup champions. 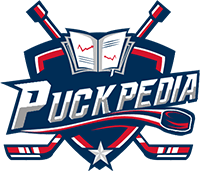 Visit PuckPedia for the latest NHL scores today! Find NHL hockey scores and information on everything else that's happening in the league, right here.